We sell this sku by the box. This has been by far the best selling , most fired 7.62x39 round in the U.S. over the past 10 years. The Russians developed this caliber and no one makes it better. 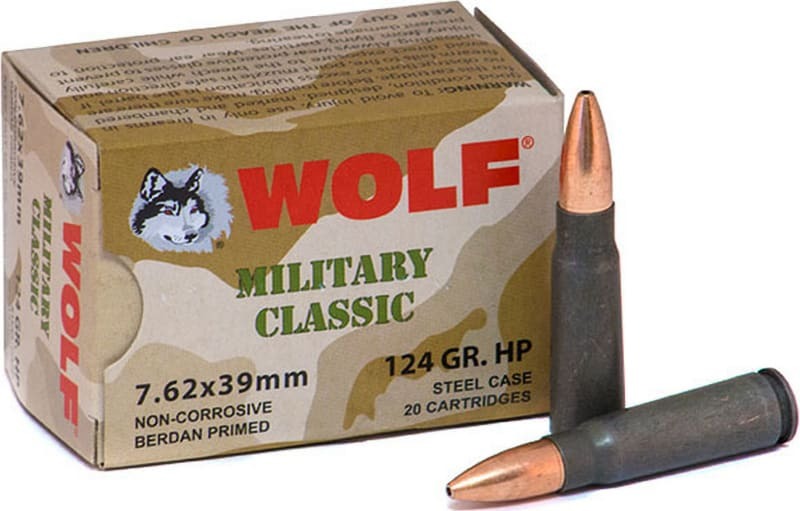 Perfect for all of your AK-47 and SKS type rifles . Always surefire, accurate and reliable. 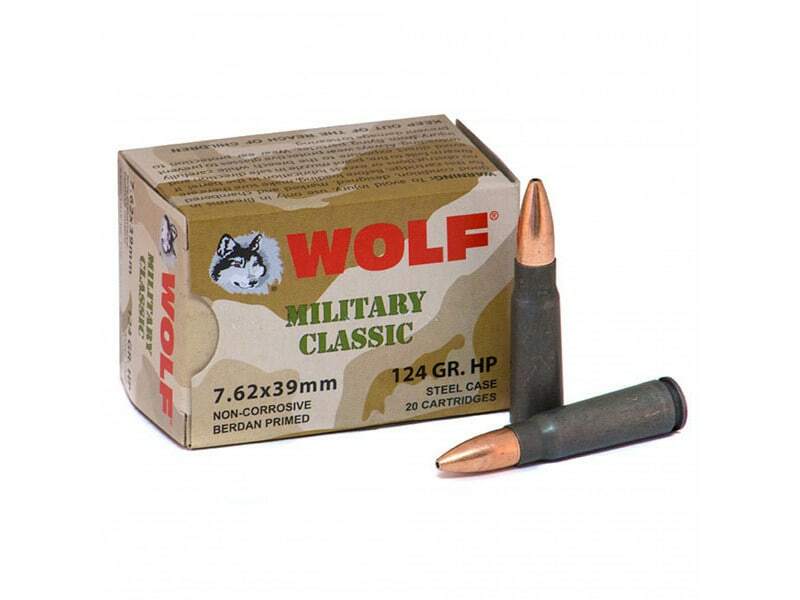 20rds / box , We sell this sku by the box. 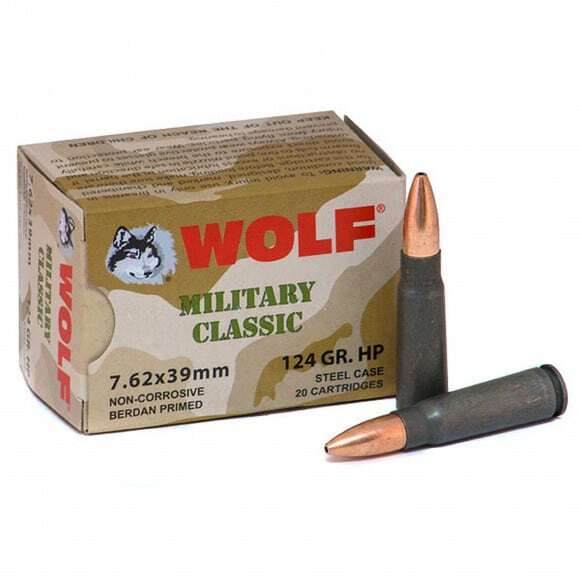 Wolf Military Classic 7.62x39 Hollow Point Ammo, 124gr, non-corrosive, lacquer coated steel case, berdan primed.